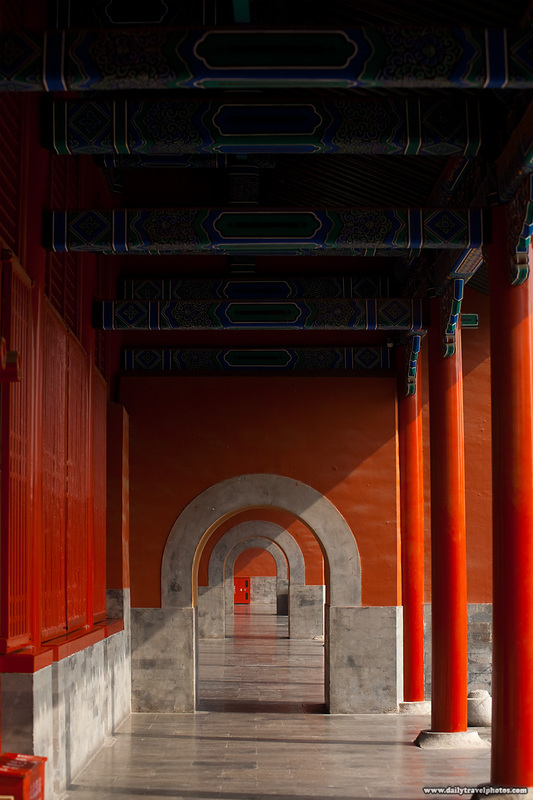 A beautiful portico with repetitive elements at the Forbidden City in Beijing (ARCHIVED PHOTO on the weekends - originally photographed 2007/08/08). 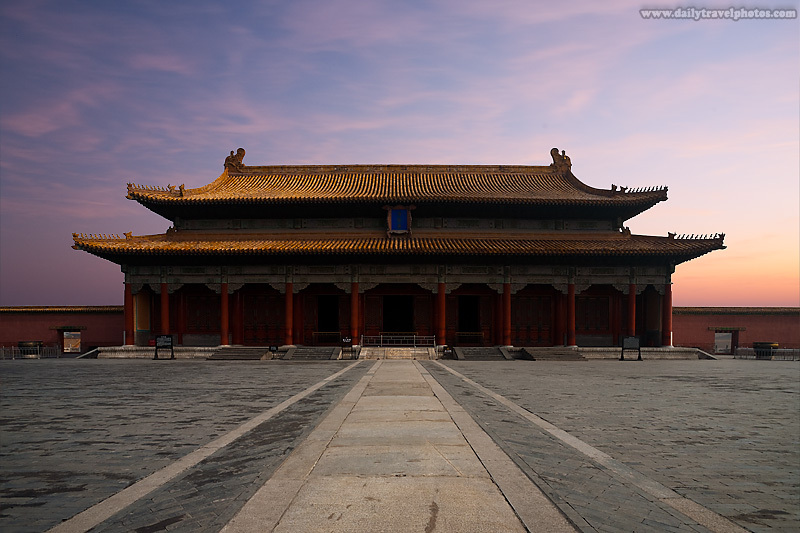 The Imperial Palace, part of the Forbidden City complex in Beijing (ARCHIVED PHOTO on the weekends - originally photographed 2007/08/08). As I progress in my journey to fully master Photoshop, I plan to redo some of my older photos with the knowledge I've attained through the years. The image above was originally posted mid-2009 with a bit of a brute force contrast and an over-saturated approach. I wanted to give the image another look so I reprocessed it with more subtlety. Personally I find the above image much more appealing than the old image. It also required a bit more finesse rather than just jamming a new sky. I've realized now that the quality of light between any 2 combined images must match or complement each other well, otherwise the compositing looks unnatural.